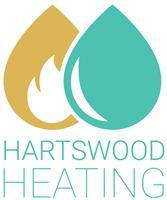 Hartswood Heating - Central Heating Engineer, Plumber based in Southwick, East Sussex. Hello, I'm Matt and I have been in the heating and gas industry now for 15 years and trading as Hartswood Heating for the last 5 years in Brighton. Now I am lucky enough to work with some great colleagues who have helped us grow into the business we have today. Perhaps you just need your annual boiler service or are a landlord and need your annual landlords gas safety certificate. Or if you're having problems with your existing boiler and wondering if it may be time to replace it, get in touch. Maybe it's something we can repair, and if not, we'll be happy to give you a free quotation and discuss your options. As a Vaillant registered business, we can offer up to a 10 year warranty on new Vaillant boilers - you can be assured of their quality and reliability. We can also design and install bespoke heating and hot water systems for larger properties where you may have specific requirements and needs. If you have any questions or would like to book in an engineers visit, please call, email, or stop by our website.